It’s time to kick off #BurgerMonth 2015! That’s right! Over 30 epic bloggers bringing you a month-long celebration of the most epic creations we could slam between two buns. 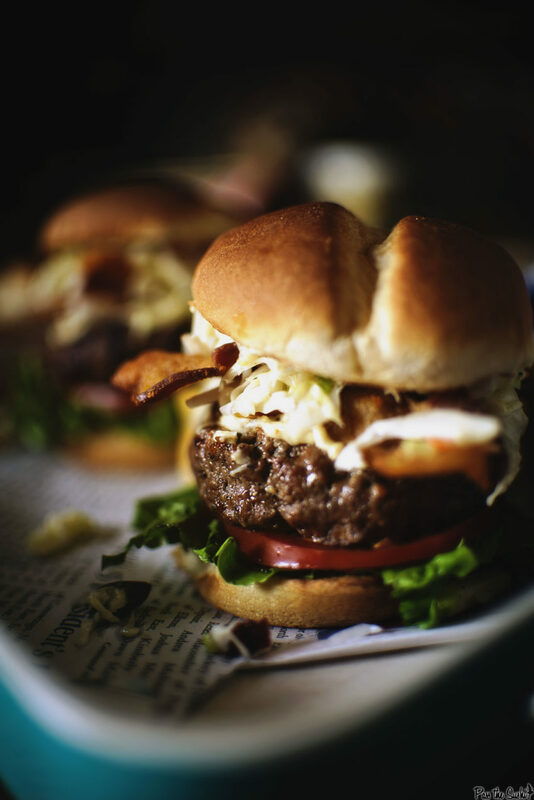 There have been countless burgers tried and tested to bring you the most extreme ‘GirlCarnivore’ worthy concoctions imaginable. 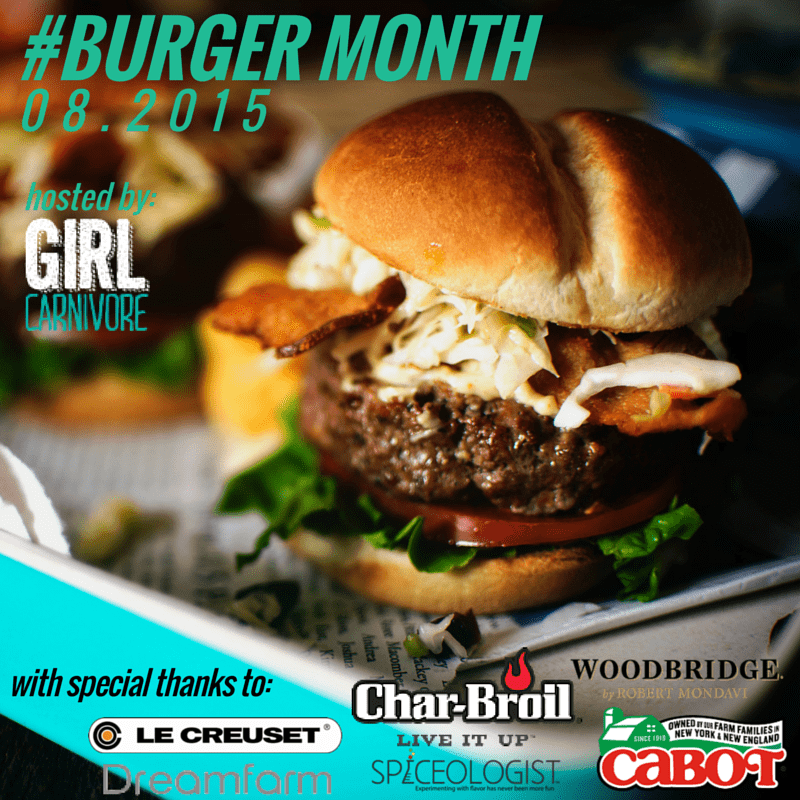 Only the best make the cut and are worthy to be included among the ranks of the Girl Carnivore Burger Month event. Start salivating. I’d like to toss out a special thank you to all 30 (+) talented food writers participating and making #BurgerMonth 2015 a blast. I can’t wait to see some of the recipes they have in store for you. Just reading the menu over was pretty exciting for me. Check back daily on Facebook to see who I am highlighting as the month continues and those burgers keep rolling in. Scroll on down to see more about that. Now, who’s ready to slip into their fat pants. Pre-heat the grill for medium-high heat. Clean and oil the grate as needed. To make the burgers, season the ground beef with salt and pepper. Pour Worcestershire over top and mix with your hands. Form into 8 thin patties. Press a bit of the Aged Cheddar Cheese into 4 of the patties and top with the remaining for patties being sure to pinch the edges shut well. Toss the patties on the grill and cook about 4 minutes per side, depending on desired doneness. Toast the buns while you're at it. 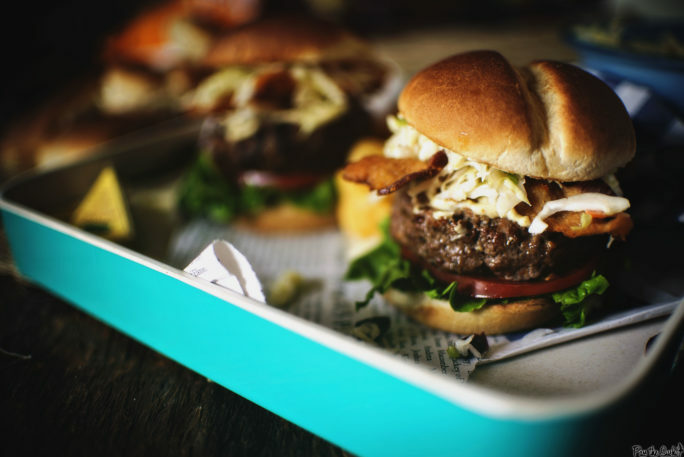 When ready to serve, spread the Dubliner over the top of the hot buns (it will melt a little with the warmth of the toasting) or directly onto the burgers. 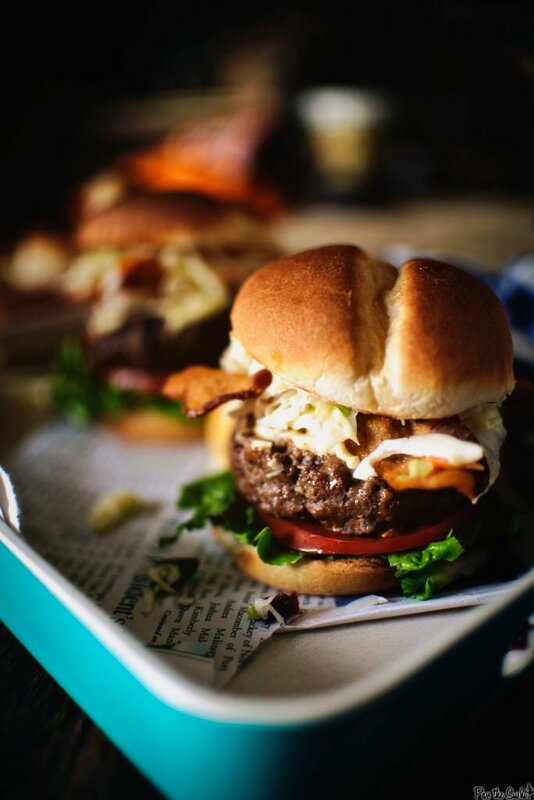 Arrange leaf lettuce on the bottom of each bun, top with a patty, bacon, a heaping pile of slaw, and the top bun. I need guacamole and pineapple on a teriyaki burger. Maybe not epic…but SO good! What a fantastic way to kick of Burger Month! You’ve led the charge with a real winner Kita and I know the rest of the recipes that are coming will be just as fun (if not quite as gorgeous – do you share any photography tips?)! Let’s go #BurgerMonth! Burger Month 2015?!? I’m in!!! My epic burger has jack cheese and roasted hatch peppers on it. 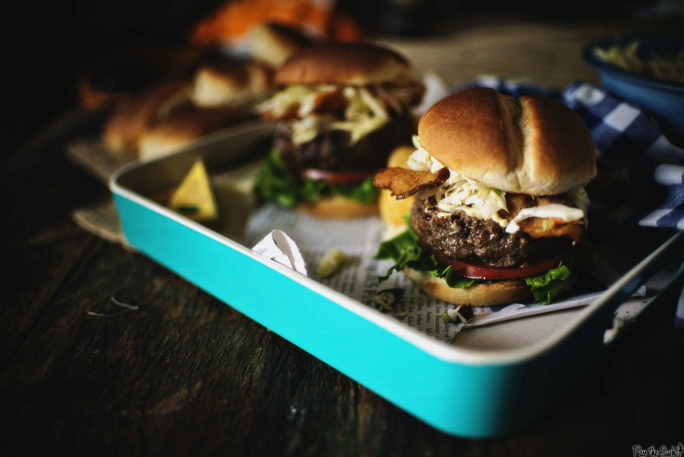 Stretchy pants on – let the epic burger fest commence! This is going to be one delicious month, and I’m so excited to be a part of it – thanks for bringing us together for htis. Now, pass me one of those amazing burgers. Grilled avocado, onion and mushrooms on top of my burger = perfection. I guess you will have to wait and see Friday to see what my ultimate burger combo is – Ben declared is a “Oh Hell yeah, make this again!” burger. So I think that counts as “ultimate”. 🙂 And I’m going to vote this as DEF ULTIMATE!! Ultimate burger is definitely a nacho one! I love to make a turkey burger using Greek seasoning. Yum!